Is It Time for The NOW Revolution? 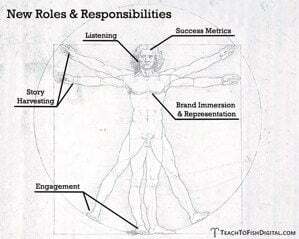 Each section includes a detailed discussion, process recommendations and case studies. The examples in The NOW Revolution are mostly focused on companies of modest size and means that have jumped on the motorcycle of real-time business and succeeded. Just like you have (or will). Plus, the book is embedded throughout with Microsoft Tag technology. Just point your smart phone at the tags in the book to unlock bonus multi-media, and downloadable content. This is the first book ever to feature Tags in this way, and we’re tremendously excited about it! 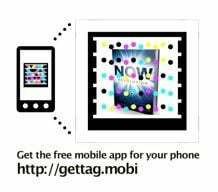 Go to http://gettag.mobi on your phone, and then take a picture of this Tag to visit our Facebook page now. The website for the book is up now. You can download a free chapter. Plus, there are special offers for people purchasing multiple copies. From an entry to win a tweet-up with me or Amber in your city, to having us create a custom NOW Revolution workshop for your company, if you buy copies for your friends, clients, and employees, we’ll make it awesome for you. The book comes out on February 14. But, it’s very much available for pre-order right now, and we absolutely, positively need thousands of pre-orders between now and February. I can’t express how delighted I would be if you purchased 2 or more copies (one for you, one for a friend) today. If you buy 2 or more, please email your receipt to receipts@nowrevolutionbook.com to be entered to win stuff. The site was built by our crackerjack friend Jason Amunwa, a small business marketing consultant in San Diego. If you like it, let him or me or Amber know please. 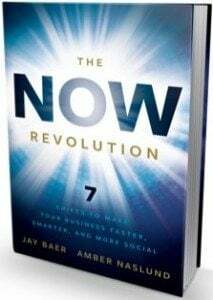 The Facebook page for The Now Revolution is up as well. It was developed and designed by the good guys at North Social, a provider of low cost, useful, Facebook customization apps. They are letting us use their software for free, so we can expose our friends and book readers to cool North Social apps. We want to discuss the book and its key points with you, so please visit the Facebook page and “like” it so we can stay connected there, okay? While you’re there, check out the amazing infographics for the book developed by our friend Chris Sietsema from Teach to Fish Digital. I’ll be talking more about the book in the coming weeks and months, including excerpts, interviews with companies profiled in The NOW Revolution, slides from presentations, blogger contests, etc. Meanwhile, a huge thank you in advance for your support here at Convince & Convert, and hopefully of the book. I promise you’ll like it. Gigantic thanks to Amber, who is unbelievably smart and patient, and our friends at Wiley for publishing the book.